I’m on a mission to dispel the lie that herpes is something to ashamed of. I’m committed to helping people who have herpes realize that their lives can be just as normal and awesome as they’ve ever wanted. Instead of trying to change culture, all we have to do is wake people up — one at a time — from illusions and false ideas around what it means to have herpes in the first place. And one of the ways to do that is through education. The reality of herpes is not what most people think. So we’ve prepared this short video as a basic overview of some important herpes facts and perspectives to set the record straight. Dr. Peter Leone (who has appeared in the New York Times and NPR’s Talk of the Nation) stopped by our monthly herpes support group on April 8, 2013, in Raleigh, NC, to give herpes facts and update us on the latest herpes statistics. He gave so much clarity around all the horribly misunderstood herpes information out there! Guest author from our community: Katie S.
Vaginal herpes outbreak or yeast infection? 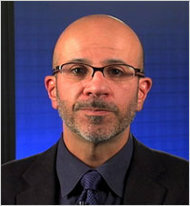 Dr. Peter A. Leone is an associate professor at the University of North Carolina School of Medicine and Public Health. He also directs the H.I.V./sexually transmitted disease prevention program for the state of North Carolina and serves on the National Coalition of STD Directors, a group of public health officials who promote awareness of sexually transmitted diseases. Watch the full video “Doctor answers questions about herpes” when Dr. Leone came to our in-person herpes support group in Raleigh, NC. Q: People are more worried about getting H.I.V./AIDS than genital herpes. Should we be paying more attention to herpes? DISCLAIMER: I’m no doctor. (And I don’t even play one on TV.) Any recommendations in this blog post — and on this entire site, for that matter — should be gone over with your doctor prior to acting on it. It’s just the smart thing to do.